Partner of Kim Kardashian and rapper/designer Kanye West was recently seen heading to the Maison Martin Margiela show in Paris looking like a weird guy in his new trendsetter but flop idea. 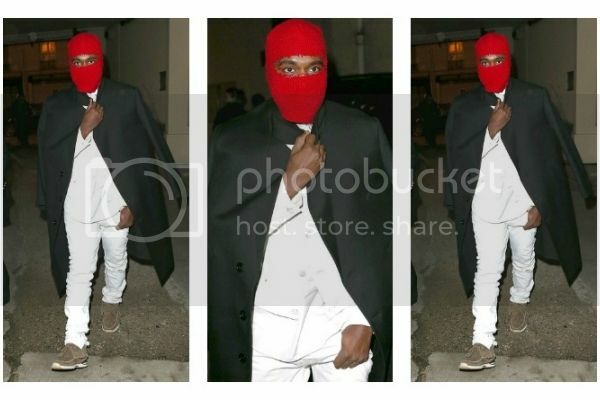 Kanye West wears an all white ensemble suit, black trench coat and gray Visvim suede moccasins, actually his outfits look good on him but the rapper completed the whole look with a red ski mask and looks like the knitted mask was made by him. 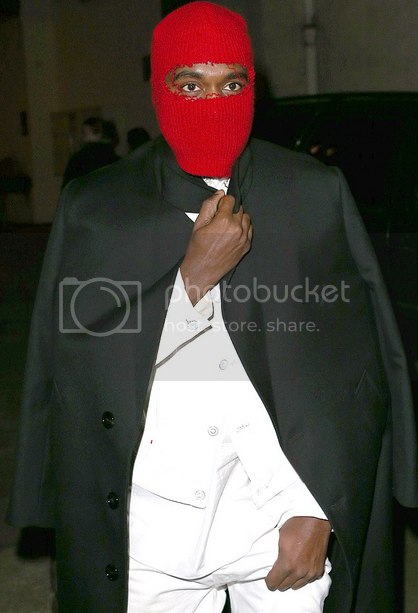 I hate to say this but Kanye West’s fashion has becoming weirder and weirder as days goes by. So, who else want this look?